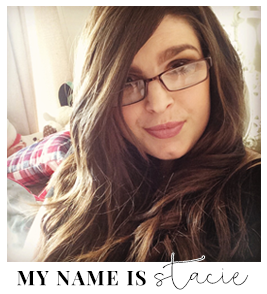 If you have come across my blog by accident the first thing you will probably want to know is that my name is Stacie. I’m 27 years old and I also happen to have had a Heart and Double Lung transplant. This is the second time I have written this “about me page.” The first time was back in July of 2012 3 months after I had been placed on the active transplant list where I would torturously wait for a further 3 years. Depending on when you are reading this I will have finished my history degree in September 2015, I have a passion for history more specifically World War Two more than anything and I chose a degree in history more for fun than anything as I honestly never really expected to finish it let alone have to decide what to do with my life. It was very tough at times and I had to postpone it for a year when I nearly died back in 2013 but I stuck at it and got there in the end. My final exam actually landed the Wednesday after my transplant so had to be postponed for a few months. As of right now though I’m just a confused girl trying to figure out how to make an impact on the world by doing something that she loves. Next thing about me is that I absolutely LOVE my Family, Friends and Pets. My Family have stuck with me through everything. I have 2 sisters my older sister Candice and my twin sister Megan, I’m very close to them, I’m glad to call them my friends. It couldn’t have been easy growing up with me because obviously having a terminally ill sister can take some of the lime light (which I would happily give away) so it must have been hard, I don’t think many siblings call their other siblings friends but I think I can safely say I can. My Parents are amazing they’ve been to every hospital appointment and fought tooth and nail for me over the years and I can safely say I would not be alive if my parents weren’t so darn stubborn :-D.
Then my friends, I don’t have hundreds and I’m pleased I don’t because that would be insanely hard work, but the friends I do have are wonderful and they have stuck by me, through school, through college and then through transplant. I’m a fierce friend and if you happen to ever become one of mine you don’t ever lose me. Finally my pets we currently have 2 cats, Oliver and Alfie, they are amazing my family have had cats for as long as I can remember and they have always been there when I’m down and I’m sure animals know when you’re feeling ill or sad because they know just the moment to snuggle up next to you. Right now that you know a little about me I feel happy to tell you my story and how I got to this point. So my journey started when I was born or more precisely probably about 10 months old. When I was 10 months old I contracted double pneumonia. In the lead up to this event my mum had been taking me to and from the doctors out in Gibraltar (Our current location as my dad was in the RAF). My mum kept telling this doctor that there was something wrong with me but this doctor told my mum that she was just being paranoid and I just had a little cold but my mum knew there was something wrong with me and kept going back and then this doctor had the nerve to tell my mum to go to a psychiatrist because she was still being “paranoid”. A few days after all this transpired I went blue in my cot and wasn’t breathing. Unfortunately this was 1991 and medical care in Gibraltar was substandard to say least. My mum rang my dad who had a bunch of RAF lads (when I say lads they are all obviously very good at what they do) set up a medical tent pretty much in the middle of nowhere and I was pumped full of drugs and what ever else they did to me in that tent and I live to tell the story. About a month or so after this I became ill again and my mum took me back to the doctors and luckily for her the usual doctor was off and there was a temporary guy filling in. Little did she know he was a cardiac specialist… The guy took one listen through his stethoscope and told my mum and dad that if I didn’t get seen by a cardiologist immediately then I would not make it to my 5th birthday. He could tell by one listen to my heart that I had an ASD (Hole in the heart) he did not know at this point that there were actually Three but still impressive. It had taken a year to diagnose and if someone hadn’t I would have died there is no question about it, so I owe that doctor my life. The following years were pretty much filled with hospital appointments too and from Bristol’s Children Hospital which was one of the best cardiologist centre’s for children of the time. From the age of 1-10 I had at least one operation a year to keep my ASD’s in check. I actually loved it there it was a part of my childhood and I know people who go to hospital a lot complain that they are there all of the time but my doctors have always melded into my life and become a part of it. They become my friends and enjoy seeing them it may not be for a great reason but they are there and they help you and talk to you and become apart of your life. I had a wonderful consultant for 10 years I can even remember my anaesthetist he was such a lovely guy. Unfortunately about the age of 11 I had just had another operation, and I was starting up at my local Secondary school and the school was different because it was very large. Well large compared to my Junior school. It had a lot of stairs. Now I had never been great with stairs but I could easily combat them but it was the first Friday of my first week there and my school always did an assembly for years 7’s on a Friday. We all got really lost. We were going up and down stairs and then going to and from the Gym (because this was our first logical choice for where it might be) then we discovered it was actually at the gym that was detached from the school and therefore a very long walk away. I started to feel woozy when we got outside so I decided to make my way back inside even if it meant missing the assembly because I was really starting to feel unwell at this point and then the next thing I remember is waking up in the sick bay. I had blacked out. I’ve blacked out before but not for a while, they rang my Dad and I got to go home much to my dismay because I hadn’t taken a day off sick almost ever unless it was for an operation. The following Wednesday I had a Science lesson which was up stairs in the school, when we got there we got told we had to go back downstairs which for me was the worse news ever because it meant I couldn’t rest for a second and when I got to the bottom of the stairs I collapsed again. Luckily the following Friday I had a check up with Bristol, whereby my consultant preceded to tell me and my mum that they had no idea how to treat me any more, they had come to a complete blank, the only thing he could suggest was heart transplant or go to Great Ormand Street Hospital (GOSH) where they had a trial going for children with Pulmonary Hypertension, which is what he thought it could be. He only knew this because a friend/colleague of his Professor Haworth was the one conducting the trial. Now at this point in time 2002 children were not really being diagnosed with PH because essentially it was associated with older people or women who had, had children. We decided to try the trial, we had nothing to lose by doing it and if it didn’t work we could go on the transplant list then. I then became the 22nd child in the UK to be officially diagnosed with PH in November of 2002. After the Right heart catheter (RHC) in November 2002 to diagnose me I needed a further operation in May 2003. This consisted of me having a 7mm tube placed in my Pulmonary Artery where it would keep it open. Pulmonary Hypertension in essence means you have thickening of your pulmonary artery walls. So when you exercise/move when your Pulmonary artery expands normally it would expand outwards and make the hole larger allowing for oxygen to get through. But due to my ASD’s my heart has been working overtime and this had therefore resulted in my pulmonary artery walls being thicker and when they are thicker not only do they expand outwards but also inwards, this therefore means your brain and lungs are cut off from any oxygen which is why I was having all the blackouts. So In May I was given my little 7mm tube and also put on Bosentan and Warfarin. The Bosentan helps lower your blood pressure so your lungs can pump the blood round more efficiently and in essence hopefully stops the condition getting worse. The Warfarin thins the blood so no blood clots form. The Hospital stay was a bit more traumatic than I had ever experienced up to this point I was there for a week I was in ICU for 2 days and then I was being watched and taught how to deal with my new pills for a further few days. When I got home, it was a bit of an adjustment, I was trying to figure out how to work my new pills into my life. I also had to adjust to doing weekly and monthly blood tests to keep and eye on certain levels to make sure that my meds weren’t affecting me in a bad way. The only glitch was a few weeks after, one of the side affects of the Bosentan is anaemia, the only reason we figure this out was because I was sleeping for about 14 hours. I would come home from school have tea and go to bed and that was it I was tired all of the time, and this is a sign of anaemia. So all I had to do was go on one iron tablet a day. Up until the age of 14 everything was pretty stable the doctors were just becoming a little worried because my oxygen levels were going down and they therefore gave me oxygen to wear at night. Now I did do this for a while but I found that I was becoming dependent on it and felt like I started needing it more and therefore I weaned myself off of it and only used it on a as needed basis. So after that little blip it was all good up until I was 18. I now had to move hospitals as I was no longer deemed a child. GOSH had been considering putting me on Sildenafil/Revatio/Viagra for a while but unfortunately at this point they weren’t allowed to put children on it. But as soon as I moved from GOSH to Hammersmith I was no longer a child. So in September 2009 I was now on the books of Hammersmith hospital in London. Here they put me on 25mg of Sildenafil 3 times a day but reduced my Bosentan. To this day I will always say this is when I believe I started getting worse with the reduction of my Bosentan. Unfortunately Hammersmith give it out based on budgetary constraints within the NHS whereas GOSH gave it on a weight basis as they never had to worry about monetary issues. I know my doctors will always say that there is no scientific proof that more makes you better but I have a completely opposite opinion. I was on the Sildenafil for about a year and then September 2010 they upped the dosage of it to 50mg 3 times a day. By this point we all knew I was getting worse and upping the Sildenafil was a last ditch effort to make some sort of an impact, to no avail. In May 2011 my PH team brought up transplant. I was getting no better they couldn’t give me any more drugs because to get more you have to be on the transplant list, so I met up with a transplant consultant from Harefield Hospital. She was the first step to the transplant process. She came to Hammersmith where she read through my notes and needed to get an initial impression of me and whether I was even a candidate for transplant. It was like the most important job interview you will ever have to do. You see to have a transplant you not only have to the physical aspects but you need to have the right mind set because if you don’t your unlikely to pull through once you’ve had the transplant. I passed the initial meeting though and was asked to have a 3 day assessment at Harefield. In October 2011 I went and had the 3 day assessment for a double lung transplant where I went through so many tests! It’s hard to get it across how many I had to do it was whirlwind 3 days that I barely remember. I had to wait 6 weeks after that assessment to find out whether I had been accepted or not. I had to go up to Harefield where they told me that they wouldn’t do a double lung transplant on me in the state my heart is in. My heart would require major heart surgery while under and the likelihood of it coping with a new set of fully functioning lungs is unlikely. So I was passed to Papworth 1 of only 2 hospitals in the UK able to perform a Heart and Lung transplant on adults at the time. In January 2012 I had another initial assessment where they told me I had to come back in March 2012 for another 3 day test. The only difference here was that I had to have an endoscopy because I have a pretty high voice. This worried the doctors because this indicated damaged vocal chords. Which would be completely plausible considering the amount of operations I’ve had over the years. If it was I wouldn’t have been allowed the transplant because if they nicked the vocal chords I would have woken up being unable to breathe and therefore the transplant wouldn’t have been worth it. But Luckily one of my vocal chords is just lazy and the other one is overcompensating for the other which is why my voice is so high but this wouldn’t stop me getting my transplant. 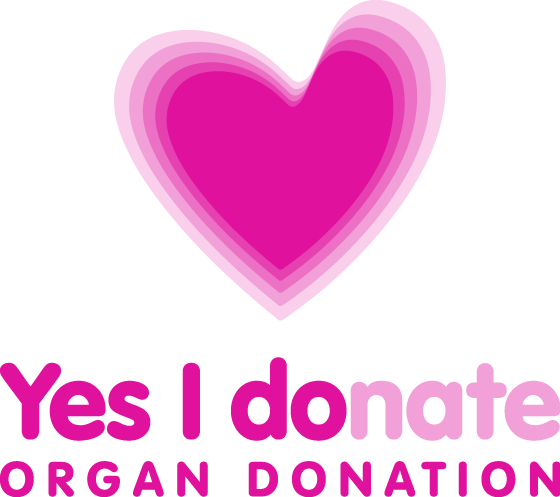 I then found out that as of the 20th of April 2012 I was placed on the live transplant list where I was in for a very long wait. Following my placement on the transplant list I was placed on a further medication called Iloprost. Iloprost acts as a boost for all the other medications I was on, they were all supposed to work together to hopefully reduce the pressures in my lungs. The Iloprost was delivered through a nebuliser which you inhale. It took about 20 minutes to do and you had to do it around 7 times a day, every 3 hours. I was on this for 10 months, it actually made my quality of life worse as it made side affects of my condition worse/more exacerbated. Throughout this time my doctors tried to convince me to go on a medication called Flolan/Epoprostenol. I avoided it for 10 months because this medication was a whole other ball game. Flolan is delivered into the body intravenously, which means it would be delivered through a line in my neck directly into the heart. There is a high risk of infection, stroke and death with this medication which is why I avoided it for so long. But in early January 2013 I had a serious talking to myself because I needed to realise that if I didn’t go on the Flolan I was going to deteriorate very fast and if I waited too long to go on it we would eventually be fighting a losing battle as I would be too far gone. So I went to Hammersmith and told them my decision much to their delight and I was given my little line in April 2013. This was closely followed by my first false alarm on May 20th, which was actually my 13month transplant-list-aversary but unfortunately the lungs weren’t considered to be good enough and I had to be sent home. I was disappointed but like everyone was telling me, I don’t really want a bad set of lungs and someone was still saved that day as the heart was still viable. After this I had to experience what getting an infection in a my line was like in July where I nearly died as I contracted septicaemia from a staff infection which was caused by a reaction I was having from the dressings I used to keep water from my line. I spent just over 3 weeks in hospital and had to have some pretty intense antibiotics for 5 weeks. Then later in the early hours of the morning on October 9th I had my second false alarm whereby I got to experience it a bit more like what my real call would be like as I had to get ready and very nearly had the real thing. Unfortunately after one of the last tests they do they discovered that the heart had a very minor problem which was a shock to everyone as they really thought it was going to go ahead due to the donors past but luckily the lungs were still good so once again even though it was not my time someone else got the lungs they so desperately needed that night. After all of this I had to have my line replaced again. I naturally have an infection on my skin which makes contracting a infection in any lines very easy. Between November 2013 and June 2014 I was constantly in and out of A&E battling skin infection after skin infection, it was finally decided to replace the line again because it was just too risky leaving the line in with a surface infection around it. So in June 2014 I had my 2nd line removed and a 3rd one put in. Then on the 25th September 2014 I had my 3rd false alarm which was probably the worst one yet, I knew one of the other people who were called in for the organs in case they weren't good enough for me and after waiting 12 hours we found out the heart had coronary artery disease which meant the organs were no good for me, this meant that the lungs went to a fellow PHer and unfortunately she died the following morning. It was awful! Following this at the end of May 2015 I had my 4th and FINAL call! The REAL call. I had my transplant after waiting over 3 years and 1 month and I couldn't be more thankful to my donor and their family for giving me the opportunity to really truly LIVE. This is an update to try and keep this page as thorough and as up to date as I can admittedly this is 2 years after my transplant but at least that means I can give as much detail as I want to. I had my transplant and everything went about as amazing as it can go after a transplant, I sailed through it; no bouts of rejection, no steps back, no infections, everything full throttle forward and I was so excited about everything my life was truly about to start. I really did begin to live properly and it was hard work because my body was still an ill persons body but it was something I was really working hard on I even joined a gym!! I met and started seeing my boyfriend which was something I definitely didn't foresee or at least didn't foresee happening for quite some time but I am deliriously happy with him and still am 2 years on. I experienced an amazing 9-10months of wonderful health, health like I had never known, then March/April of 2016 arrived and unfortunately that is where things started to go a bit south for me. I got a chest infection. A chest infection?! I hear you cry surely that is nothing too bad? Well no its not and we actually can't pin point it to that but it's when I felt ill again. From the beginning of June to the beginning of August I lost 60% of my lung function, that is a lot and I actually could feel myself dying. It was at this point in August where I was officially diagnosed with Chronic Rejection in my lungs. Chronic Rejection was the last thing I wanted! It's the one no-one can fix you can only slow down, this is when re-transplant was mentioned and I was put back on the transplant list on September 7th 2016 only to be removed permanently in March 2017. After months and months of testing and treating a fungus in my lungs the operation became too much of a death wish and it was agreed not to go forward with it. So now what? Well I'm now "living with" Chronic Rejection. I'm trying to live the very best life I can whilst I can, I do have a prognosis looming over my head but I refuse to hear just educated guesses to the date of my death and then end up living by that date. I'm still living my life to its full potential and absolutely loving it. So now this blog isn't about a girl fighting for the life she wants and needs it's about a girl fighting for the life she has and living it to it's short and sweet potential. Wow, you've been through alot! Its hard the uni stuff but I perservere if nothing more come of it it keeps me busy :). I came across your blog through 'Sofia's Journal' and I'm glad I did because reading this was a reminder never to take life for granted. I really admire your positive outlook and the way you can see the good in a bad situation - like when you had to go to hospital lots and most people would moan but you appreciated the doctors and people who helped you. Thank-you very much! I try and stay postive even on days that aren't quite so postive and if I can spread some of that then I've done my job :). Hi Stacie, My name is Niki and I came across your blog via http://nichollvincent.blogspot.com ... anyways I just wanted say you are in my prayers. My mom is currently going through health issues, nothing compared to what you have endured in your life so far but she is on oxygen all the time and had to quit driving a tractor-trailer with my stepdad. Anyways, like I said you are in my prayers, I hope you get the transplant & surgery you need to have a full life. I really hope you get your transplant soon. See you at the cosmo awards and good luck with your category! I have voted for you and I sincerely hope you win! Wow you are amazing! I loved reading your about section. You are so positive and inspirational! Thank-you for being so lovely! It took quite some time write and it's not even close to being the entire story but I think it get's everything I wanted to across :). Your condition makes my problems look so small, and you are half my age. You are very brave! I'm on the A327 OU module with you. I hope you enjoy it, but equally I hope you have to take a break to get your transplant. Lovely blog! I'm on A327 with you. This is a great blog and you are so brave. A positive outlook is the best outlook! You really do put a 'normal' life into perspective. I have mild anxiety and catastrophise every little thing. You are a brave soul. I appreciate you sharing your story and look forward to following your journey. Great to meet you at the weekend, we should have been at archery following wine tasting but met you around Nicola's doughnuts instead - a wise choice ; ) Alphonse and I are keeping everything crossed for you re: transplant. Your blog is fantasttc just carry on telling it like it is because it speaks out to everyone, with or without PH. wow Stacie, this incredible. i've added you to my blog reading list. i found you on Sprinkle of Glitter's blog and I'm so glad i clicked on your blog! I found your blog after reading an article about you and your twin sister in the Daily Mail online. I just wanted to say I truly admire you. Your story touched my heart and I really wish you and your family the best of luck with everything. Thanks for sharing your story. I've come across a few people with pulmonary hypertension in my work (I used to work with respiratory medicine), it's a truly awful disease. I hope you won't have to wait much longer for your transplant.